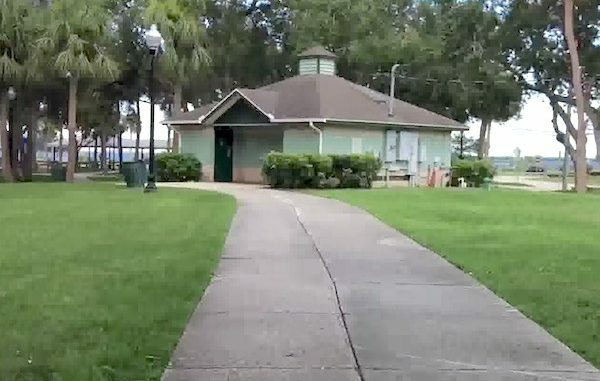 A woman said she was attacked in the women's restroom at Riverview Park in Sebastian, Florida. SEBASTIAN – On Wednesday, November 28, 2018 at approximately 1:37 pm, the Sebastian Police Department received a call in reference to a 45 year of age female advising that she was attacked in the women’s restroom located at Riverview Park (600 US Highway 1). 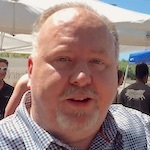 “The victim advised that upon exiting the stall of the women’s bathroom, she was thrown against the wall by an unknown male subject. The victim stated she was able to kick and punch the subject, causing him to let go of her. She then exited the restroom and contacted the Police Department.” Lieutenant Timothy Wood told Sebastian Daily. The subject was last observed heading toward US 1 and CR 512 east. The man is described as a 5’9″ white male in his early to mid-50’s with brown hair, a reddish/brown un-kept beard and was wearing a red baseball style hat with a navy blue/black hoodie, dark jeans, brown work boots and walked with a limp. This incident is currently under investigation and there is no additional information being released at this time. If anyone has any information on this case, we ask that you please contact Detective Maison at 772-589-5233 or if you wish to remain anonymous, you may contact Treasure Coast Crime Stoppers at 1-800-273-TIPS (8477) or www.tcwatch.org.